New Target Mobile Coupons have been released! If you aren't getting Target Mobile Coupons text BODEGA to 827438 to get the coupons or sign up online. Here are this week's coupons and a few deal ideas. Let us know what awesome deals you find! Today ONLY, Shutterfly is having a 40% off sale worth checking out but they are also offering a couple of freebies that you may want to cash in on while you're there! Choose your favorite from a choice of FREE Set of address labels or a FREE magnet! (Address labels are regularly $9.99 and the magnet is regularly $5.99-$8.99). To take advantage of this deal, just head over to Shutterfly.com and create your choice of the address labels or magnet and then enter code PICKONE at checkout! You will still owe shipping and handling which is $3.99 for the magnet or $2.99 for the address labels. 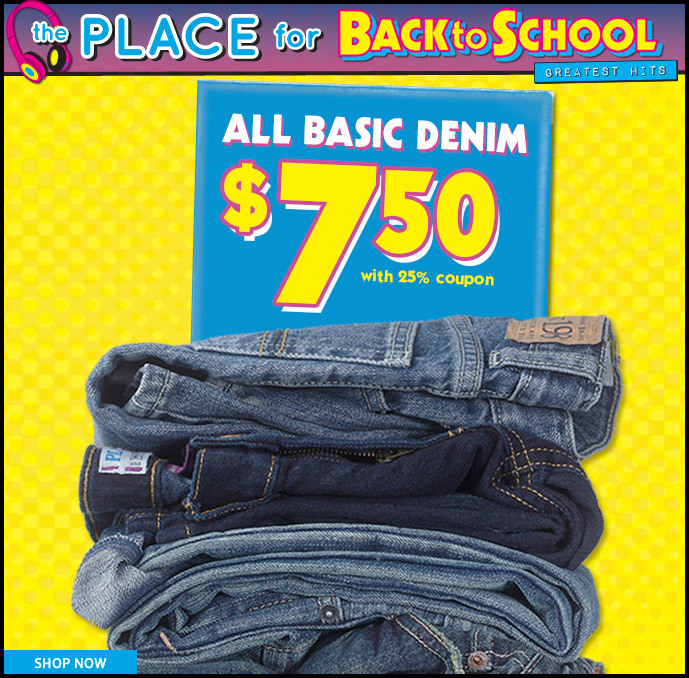 This deal is valid through today, 8/25 only so hurry! Today ONLY, The Children's Place is offering up to 25% off sitewide including the clearance section with code SHOPEARLY, plus all orders qualify for Free Shipping! WOW!! That means you can snag jeans for $7.50!!!! Plus you can Earn Place - Cash! Head over and browse the full selection before time runs out!